While I was finishing up with the first book in The Write Spot Series, The Write Spot to Jumpstart Your Writing: Discoveries, the idea of a book with writing in it from a mother and her adult children came to me. It hung around, like a toddler at my feet and wouldn’t let go. As I gathered stories to include in this book, I realized how connected we are. The photo on the cover is my mother when she was fourteen, in 1945, and letters she wrote to her mother. Every piece of writing in Connections comes with a writing prompt, hopefully to inspire you to write your stories. 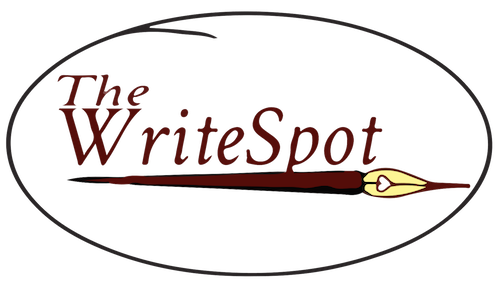 Speaking of writing prompts, there are over 400 prompts on my blog, The Write Spot. The Write Spot to Jumpstart Your Writing: Connections illustrates how story-telling can be used as a technique to ignite imagination and inspire writing. The fiction, poetry, and personal stories in Connections show how we relate through stories. It’s unique for being both entertaining and featuring techniques to ignite the imagination for inspirational writing. Connections includes an extensive resources section for writers. 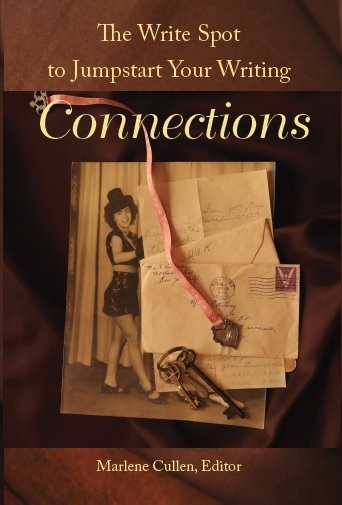 The Write Spot to Jumpstart Your Writing: Connections is available for $15 at Amazon, JavAmore Cafe (Penngrove) and Book Passage (Corte Madera).